As record numbers head to advance polls, Rachel Notley continued to welcome Albertans of all political stripes to her team. The pitch comes as Jason Kenney faces fresh allegations of cheating and fraud in the UCP leadership race. On Wednesday, a CBC investigation uncovered a fraudulent scheme to using purchased email addresses was used to cast ballots in a race between Kenney and rival Brian Jean. 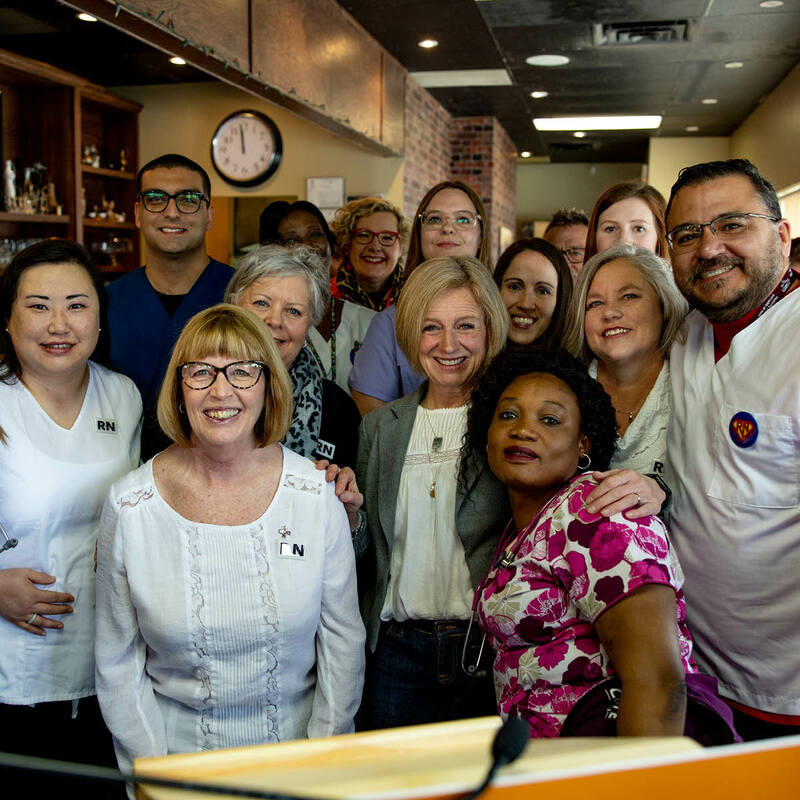 Standing beside a group of nurses in Calgary, Notley invited Albertans to join her in the fight for good jobs, good health care and good schools. Notley pledged to defend Alberta’s public health care system, improving emergency care, reducing wait times, finishing the Calgary Cancer Centre, and covering drug costs for more seniors. The promise stands in strong contrast to Kenney's platform, which will Americanize the system while starving it of resources as Alberta's population grows and ages. Over the last four years, Notley’s government added 1,200 doctors and 1,200 nurses across the province to address the needs of a growing population. While Notley offered a vision of strong stable health care, Jason Kenney's campaign has been consumed and distracted by RCMP investigations. The investigations point to a leader willing to cheat to win, who will lie to get ahead and who won't accept responsibility for his actions. The revelations raise serious questions about Kenney's promises. Notley said that Albertans don't need a scandal-plagued government unwilling to stand up for public services and working people. They need someone who will diversify the economy, build a pipeline and ensure that Albertans have good jobs, honest government and good health care. “If you or someone in your family gets sick, I will stick up for you. I will I will make sure everyone gets the care they need, no matter how much money they make,” said Notley.